Successfully Added UGOOS UT3S Dual Boot Mini PC - Quad Core RK3288 CPU, 2X2GB RAM, 32GB Memory, 4xUSB, 2.4GHz/ 5GHz WiFi, 4Kx2K Output (Red) to your Shopping Cart. 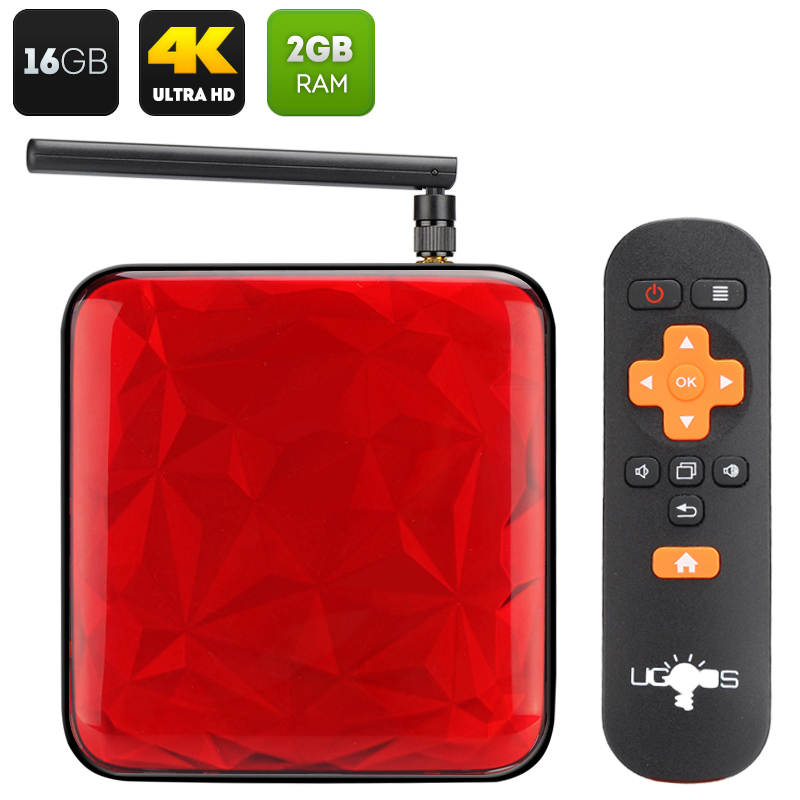 UGOOS UT3S Mini PC with Andrdoid 4.4 + Ubuntu OS uses a Quad Core RK3288 CPU, 2GB RAM and 16GB memory for each OS partition, to bring you offers the latest in multimedia entertainment. The UT3S Dual system Android 4.4 and Ubuntu OS is an ARM based media play that meets all the needs of an android user as well as providing an Ubuntu platform for the more adventurous. Not only does this let you enjoy the wealth of Android apps and games but brings the freedom of Ubuntu for unleashing the true power of your mini PC. It uses the same RK3288 processor because it’s still one of the best CPUs around and at 1.8GHz with 2GB of RAM and has a dedicated Mali-T764 GPU so you won’t lack for power. The main drawback that some mini PCs face is with heat control and this is where the UT3S differs as it features a heat sink fan inside that ensure the no matter how hard you push this mini PC it won’t overheat so there’s no limit to your entertainment. You get great connectivity with this TV BOX as it has excellent Wi-Fi, thanks to an external antenna and dual band support, there’s also Gigabit Ethernet, Bluetooth 4.0, IR sensor and controller as well as 4 USB ports, SPDIF and audio out. All this make hooking up games controls, USB drives and other peripherals simple. This version of the UT3S comes with 16GB of onboard memory and a micro SD slot for extra storage options. With HDMI support and a dedicated Mali CPU you can enjoy 4Kx2K output that brings you the next generation of multimedia entertainment.